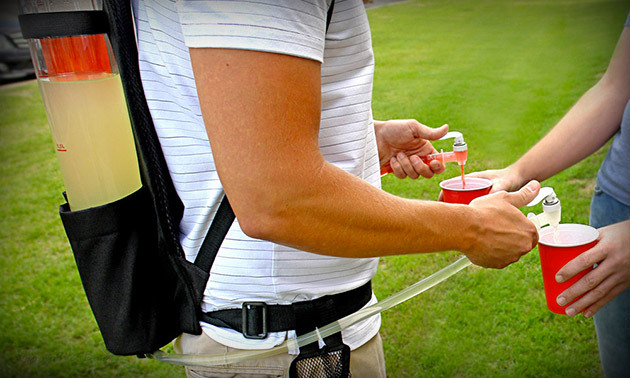 Entertaining a thirsty crowd this summer just got easier thanks to the Tailgater Dual Tank Backpack Drink Dispenser ($40). This mobile drink dispenser makes it easy and quick to serve drinks to your friends and family. It features a lightweight nylon design, fully padded shoulder straps, a mesh bag for cups, and two large tanks that hold and dispense up to 21-ounce of your favorite beverage through the built-in 24-inch gravity-fed hand taps.